In the past year, there have been multiple mob killings in India (Vindu Goel, Suhasini Raj and Priyadarshini Ravichandran). At least 30 people have been murdered by these mobs (Michael Safi). Why are these killings happening? The answer is that false rumours about child kidnappers have gone viral through WhatsApp, leading to these mob killings (V. Goel, S. Raj and P. Ravichandran). These false rumours are being spread primarily through the application WhatsApp (V. Goel, S. Raj and P. Ravichandran). This blog will address how the platform of WhatsApp affords the spread of viral messages to occur and how WhatsApp is changing the affordances of the platform in an attempt to stop the spread of false rumours. The first video to go viral was originally a public service announcement produced in Pakistan to warn people of the risks of child kidnapping. However, when it eventually spread in India; it had been edited to appear as if it was a real kidnapping (V. Goel, S. Raj and P. Ravichandran). Other false messages described gangs of kidnappers looking for children (V. Goel, S. Raj and P. Ravichandran). These messages preyed on parents’ basic fear of losing their children (M. Safi). The fake messages – in most cases – targeted minority groups in India stating that they were they ones kidnapping children. This made it easy for the mobs to target the ‘kidnappers’ (M. Safi). Why Did It Go Viral? Two main features of WhatsApp that can be reasoned to contribute to the viral spread of information are the scalability and replicability of the application (Pasquale Pellegrino, p.83). These two features afford users the ability to share information with ease and on a large scale. Scalability is influential in the sense that WhatsApp ­– until recently – allowed for large-scale forwarding of an individual message and allowed users to create groups with a maximum of 256 members. Replicability has also been a factor in the sense that users can easily download, duplicate and share contextual information on the application (P. Pellegrino, p.85). WhatsApp – unlike most other social media applications – has allowed users to pass on information that is wholly discounted from its original source (Andrew Griffin). Thus, the design of WhatsApp has made it easy to spread information as forwarded messages have no connection to the previous or first sender (V. Goel, S. Raj and P. Ravichandran). It can be seen that these two features of WhatsApp created an ecosystem that allowed for false information to go viral. Affordances shape the conditions of possibilities associated with a given action ­– thus creating a limit in what actions are possible (Taina Bucher and Anne Helmond, p.10). 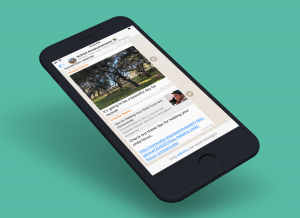 In the case of WhatsApp although there were very few restrictions on sharing it can be seen, that it limited users’ ability to share a post with context. The ease WhatsApp allows for messages to be shared is important. A vital example of this is that next to media messages there is a share button. It can be seen that this mediates and communicates to users that they should share content sent to them (T. Bucher and A. Helmond,.2). The feature, therefore, has created a visual element on WhatsApp that affords an action to users (T. Bucher and A. Helmond, 2). Thus, this affords users to share messages sent to them – whether it be photos, videos or text (Ian Hutchby, 448). It can be seen that the ‘quick share button’ (BBC) impacts communication on the application (T. Bucher and A. Helmond, 11). To put it simply a ‘quick share button’ is made to make people quickly and without thinking share messages sent to them (Don Norman, 9). WhatsApp, thus, is not a neutral platform as it affects the condition and rules of social interaction (Jose van Dijck and Thomas Poell, 3). With a platform like WhatsApp, the boundaries between online and offline spaces become blurred (P. Pellegrino 80). It can be seen that the killings in India are a clear example of the online world moving into the offline world. What started as hoax videos caused public panic to spread across WhatsApp and move into the physical world. How did WhatsApp respond to the killings? They changed the features of the platform thus changing what the platform affords users to do. Firstly, WhatsApp now limits how many times a message of any type can be forwarded to other chats. In India – specifically – users are only allowed to forward a message five times (WhatsApp). 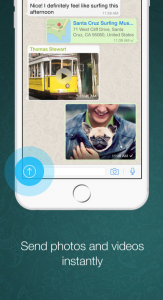 Secondly, WhatsApp removed the ‘quick share button’ from media messages (WhatsApp). These are two major platform features that have now been removed from the application. The programmability of WhatsApp allowed them to make changes to the platform in response to the killings (Jose van Dijck and Thomas Poell 5). So how does this change the affordances of WhatsApp? And how could this lead to stopping mob killings from happening? When looking at the changes to the platform, it can be seen that WhatsApp changed the affordances in response to the killings. They changed the affordances that allowed for the mass distribution of information (J. van Dijck and T. Poell, 3). It can be reasoned that WhatsApp hopes this change in affordances will make it less natural to forward and share messages and therefore stop the mass spread of false information. As affordances shape the condition of possibilities that are associated with a given action (T. Bucher and A. Helmond, 10), it can be reasoned that these changes have the abilities to reduce the spread of information and therefore reduce the mob killings. Will The Mob Killings Stop? WhatsApp change to the affordances is an important move to stop these mob killings. There are many reasons this change will have an impact. Firstly, it has been seen that trying to inform people through more traditional means has been unsuccessful to a large extent. For example, one of the volunteers hired by the government was killed while visiting a village in an attempt to try to dispel these rumours (M. Safi). Secondly, 200 million users in India use WhatsApp as a significant method of communication. Therefore, when the affordances remain the same, it can be reasoned that the way people utilise the application will continue. Finally, when explaining affordances, it can be seen that what is afforded to the user indeed does change how a person uses a tool, object, or application (T. Bucher and A. Helmond, 10). Thus, by WhatsApp changing the affordances of the application to make it less intuitive to share on the application, it can be reasoned that viral message chains are less likely to start and spread on a large scale. The changes made by WhatsApp can be seen as a reflection of the complex co-evolution between users and the platform (T. Bucher and A. Helmond, 20). A, Griffin. “WhatsApp: After Killings in India, How The Messaging App Is Being Used to Spread Deadly Fake News.” The Independent, 2018, https://www.independent.co.uk/life-style/gadgets-and-tech/news/whatsapp-india-killings-latest-update-explained-app-fake-hoax-rumours-a8428746.html. Bucher, T., and Helmond A. “The Affordances of Social Media Platforms.” The SAGE Handbook of Social Media, 2017, pp. 233–53. Dijck, José Van, and Thomas Poell. Understanding Social Media Logic. Vol. 1, no. 1, 2013, pp. 2–14, doi:10.12924/mac2013.01010002. Goel, V., et al. “How WhatsApp Leads Mobs to Murder in India.” New York Times, 2018, https://www.nytimes.com/interactive/2018/07/18/technology/whatsapp-india-killings.html. Hutchby, Ian. “Technologies, Texts and Affordances.” Sociology, vol. 35, no. 2, Universiteit of Amsterdam, 2001, pp. 441–56, doi:10.1017/S0038038501000219. Light, Ben, et al. “The Walkthrough Method: An Approach to the Study of Apps.” New Media and Society, vol. 20, no. 3, 2018, pp. 881–900, doi:10.1177/1461444816675438. M, Safi. “‘WhatsApp Murders’: India Struggles to Combat Crims Linked to Messaging Service.” The Guardian, 2018, https://www.theguardian.com/world/2018/jul/03/whatsapp-murders-india-struggles-to-combat-crimes-linked-to-messaging-service. Norman, D. A. “The ‘problem’ with Automation: Inappropriate Feedback and Interaction, Not ‘over-Automation’.” Philosophical Transactions of the Royal Society of London. Series B, Biological Sciences, vol. 327, no. 1241, 1990, pp. 585–93, doi:10.1098/rstb.1990.0101. Pellegrino, Pasquale. Don ’ t Break Those Norms ” WhatsApp ’ s Socio-Technical Practices in Light of Contextual Integrity and Technology Affordances. Vol. 3, 2018, pp. 73–88, doi:10.4399/97888255159098. WhatsApp. “More Changes to Forwarding.” WhatsApp Blog, 2018, https://blog.whatsapp.com/10000647/More-changes-to-forwarding. WhatsApp. “WhatsApp for JioPhone on KaiOS.” WhatsApp Blog, 2017. WhatsApp, Inc. “WhatsApp Messenger.” Apple Store, 2018. “Who Can Stop India WhatsApp Lynchings?” BBC, 2018, https://www.bbc.com/news/world-asia-india-44709103. “False Whatsapp Message on Child Abduction Trigger Violence in TN, Killing Two.” The News Mintue, 2018, https://www.youtube.com/watch?v=1Qv8wR4B_bI.